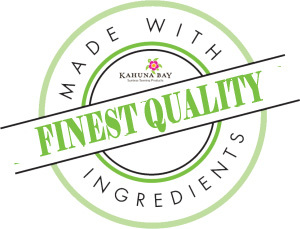 Kahuna Bay Tan Hawaiian Blend Spray Tan Solution.....is a beautiful FAST DRYING spray tan product that is perfect for the sunless tanner who wishes to have an amazing dark tan, without additional aloes or tackiness. Rich bronze color makes you feel like you just walked off a Hawaiian Beach. Perfect product color that enhances any skin tone.